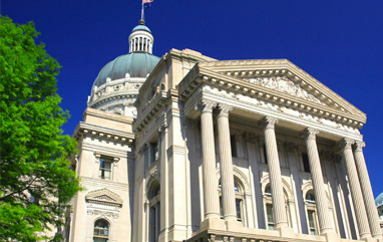 Our parent company, the Indiana Rural Health Association (IRHA) serves as a voice for the rural residents of Indiana. Through education and outreach, our intention is to bring awareness to our members, partners, and communities about the complexities and nuances of healthcare issues. Ever-changing healthcare policies affect every facet of rural Hoosiers lives yet they are seldom aware of changes and influences. An informational void may exist for their decision-making purposes. Likewise, policy makers may not always consider the unique challenges that residents and businesses of rural communities face in these dynamic times. Therefore, the IRHA offers education and awareness to both the community and policy makers to bridge the divide. As WhiteBark Corporation, we take education to the next logical step, helping to influence action and obtaining results important to our clients. We create individual policies for your business needs and bring them to the proper parties for enactment. WhiteBark is authorized to lobby on your behalf; executing policy needs in order to actively effect the populations they service. Have your voice heard through WhiteBark advocacy and lobbying outsourcing. Together, these two services work in tandem to improve the lives and optimize the health of all rural residents.